This Thursday, 14 February, saw the launch of the Africa Protected Areas Congress (APAC) at Nairobi National Park's historic Ivory Burning Site in Kenya. The launch aims to position Africa's protected areas within the goals of economic and community well-being as well as seek commitment from African governments to integrate protected areas in the African Union's Agenda 2063 strategic framework for the socio-economic transformation of the entire continent. “Today we launch the Africa Protected Areas Congress (APAC), the first ever continent-wide gathering of African leaders, citizens, and interest groups to discuss the role of protected areas in conserving nature and promoting sustainable development. 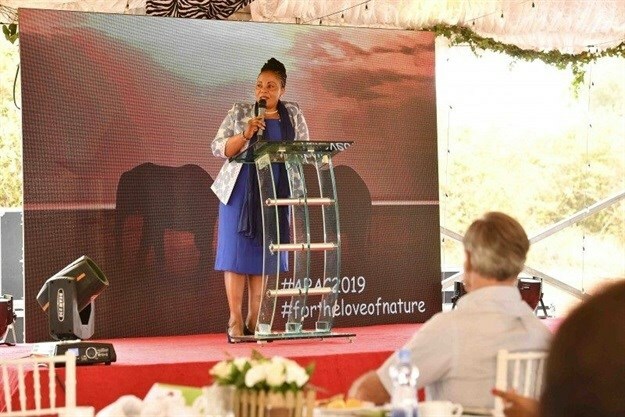 This landmark forum organised by the World Commission on Protected Areas (WCPA) and the International Union for Conservation of Nature (IUCN) provides us with a platform for holding honest discussions on the future we want for our protected areas and seek solutions to the persistent and emerging problems,” said Kenya’s principal secretary, State Department of Tourism and Wildlife, Dr Margaret Mwakima. According to the International Union for Conservation of Nature, at the start of the 20th century, there were only a handful of protected areas, approximately 200,000 which cover around 14.6% of the world’s land and around 2.8% of the oceans. As the world continues to develop, pressure is intensified on the ecosystems and natural resources, thus the need to protect them. “We need to come to a common understanding that human beings can live with animals and take care of each other to save biodiversity. As a continent, we can offer resilience, adaptability and tackle climate change to protect our biodiversity,” added Mwakima. The upcoming APAC conference will be held 18-23 November this year. The inaugural APAC Journalists’ Award was also launched to provide incentives for African journalists and media houses to be champions of conservation and drive more effort toward reporting on biodiversity in Africa. Winners of the inaugural award will be announced and awarded during the November conference - applications are open.